AIRMAX PAPR with its over the head air delivery system for improved weight distribution. PAPR with its over the head air delivery system for improved weight distribution. 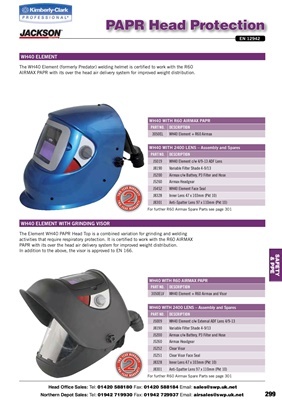 In	addition	to	the	above,	the	visor	is	approved	to	EN	166.